DanceGuru: has been brewing in the minds of Reg and Judge for a long time. 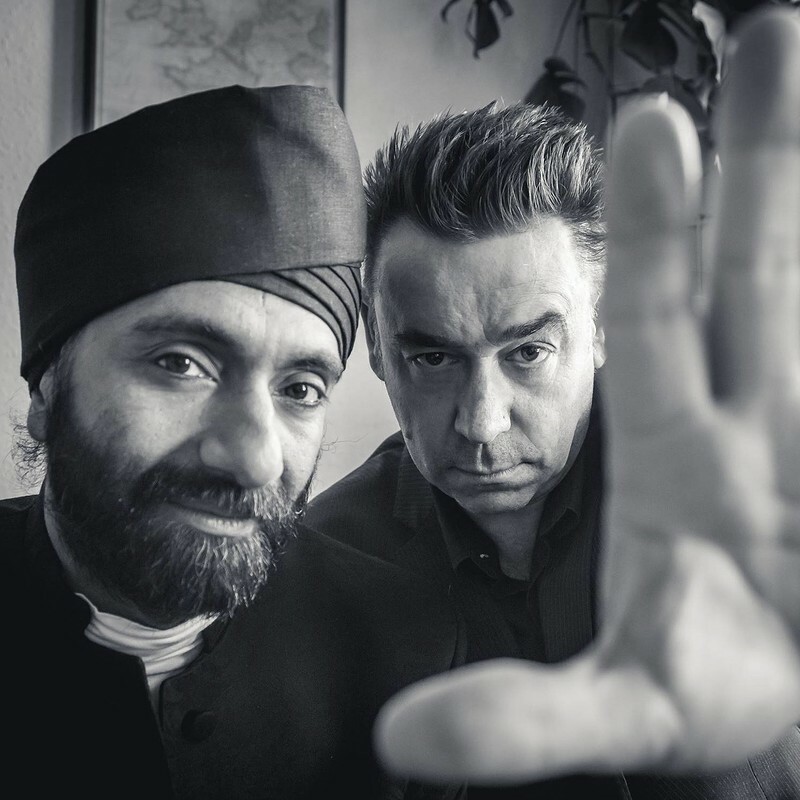 Both are established musicians, Reg is a punk fronting the band "London Calling" and Judge plays with West Country Legends RSVP Bhangra. 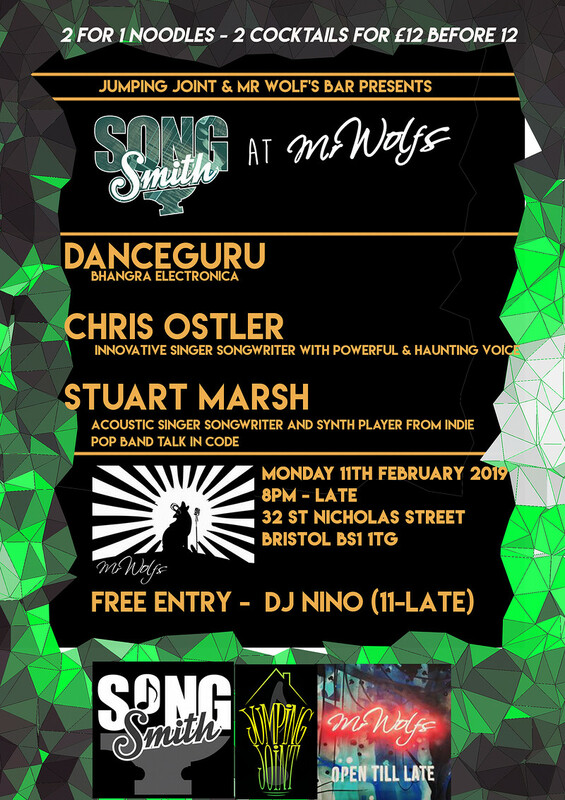 They wondered if they could mix the raw energy of punk, with unstoppable Bhangra beats......and wrap it all up in beautifully constructed electronica, played with live instrumentation? They have and its called DANCEGURU!! Chris Ostler: Innovative singer songwriter motivated by his observations of life, people and various emotions. His voice is both powerful and haunting and his ability to enthrall a room is renowned. The way he writes is shaped by his visual imagination and by particularly by a connection to colour reinforced by a visceral relationship with strong melody. 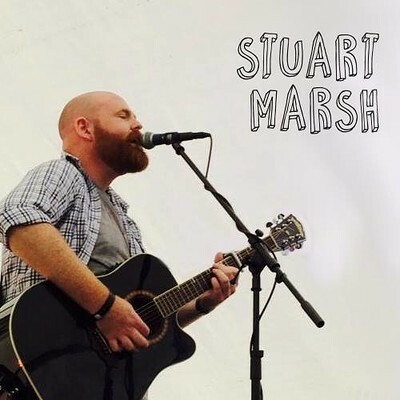 Stuart Marsh: Stu is mostly known as a musician for hire at pubs, bars and parties, as well as his time as Synth player for Indie Pop band Talk In Code - but he is also an acoustic singer-songwriter in his own right, having had airplay on BBC Introducing and Newbury Sound. After some time out from performing his own music, he's giving new life to some old favourites, as well as debuting some new tracks.